Dementia is a syndrome in which there is deterioration in memory, thinking, behavior and the ability to perform everyday activities. What is Dementia? Who Gets Dementia, What Causes Dementia, What are the Symptoms of Dementia, How is Dementia diagnosed? What are the treatments for Dementia? Dementia causes the loss of cognitive functioning—thinking, remembering, and reasoning. Dementia interferes with a person’s daily life and activities. 1. Dementia is a syndrome in which there is deterioration in memory, thinking, behavior and the ability to perform everyday activities. 2. Although dementia mainly affects older people, it is not a normal part of ageing. 3. 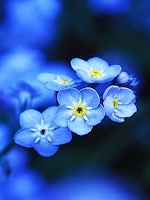 Worldwide, 44 million people have dementia and there are 7.7 million new cases every year. 4. Alzheimer's disease is the most common cause of dementia and may contribute to 60–70% of cases. 5. Dementia is one of the major causes of disability and dependency among older people worldwide. Dementia occurs primarily in people who are over the age of 65, or in those with an injury or disease that affects brain function. While dementia is most commonly seen in the elderly, it is not a normal consequence of the aging process. Dementia is caused by the death of brain cells. Brain cells can be destroyed by brain diseases, such as Alzheimer’s disease, or strokes (called vascular or multi-infarct dementia), which decrease blood flow to the brain. Lewy body dementia is another common cause attributed to changes in brain tissue. Other causes can include AIDS, high fever, dehydration, hydrocephalus, systemic lupus erythematosus, Lyme disease, long-term drug or alcohol abuse, vitamin deficiencies/poor nutrition, hypothyroidism or hypercalcemia, multiple sclerosis, brain tumor, or diseases such as Pick’s, Parkinson's, Creutzfeldt-Jakob, or Huntington's. Dementia can also result from a head injury that causes hemorrhaging in the brain or a reaction to a medication. In most cases, the symptoms of dementia occur gradually, over a period of years. Symptoms of dementia caused by injury or stroke occur more abruptly. Difficulties often begin with memory, progressing from simple forgetfulness to the inability to remember directions, recent events, and familiar faces and names. Other symptoms include difficulty with spoken communication, personality changes, problems with abstract thinking, poor personal hygiene, trouble sleeping, and poor judgment and decision making. Dementia is extremely frustrating for the patient, especially in the early stages when he or she is aware of the deficiencies it causes. People with dementia are likely to lash out at those around them, either out of frustration or because their difficulty with understanding makes them misinterpret the actions of others. They become extremely confused and anxious when in unfamiliar surroundings or with any change in routine. They may begin a task, such as cooking, then wander away aimlessly and completely forget what they had been doing. Dementia is often accompanied by depression and delirium, which is characterized by an inability to pay attention, fluctuating consciousness, hallucinations, paranoia, and delusions. People in advanced stages of dementia lose all control of bodily functions and are completely dependent upon others. Dementia is diagnosed through a study of the patient’s medical history and a complete physical and neurological exam. The doctor will speak with those close to the patient to document a pattern of behavior. He or she will also evaluate the patient’s mental functioning with tests of mental status, such as those that require the patient to recall words, lists of objects, names of objects, and recent events. Diagnostic tests, such as blood tests, x-rays, or magnetic resonance imaging (MRI), positron emission tomography (PET), or computed tomography (CT) scans, can help determine the cause of the dementia. In some instances, treating the cause of dementia may successfully reverse some or all of the symptoms. When dementia is related to an irreversible destruction of brain tissue, such as with Alzheimer’s disease, Lewy body dementia, or multiple strokes, treatment involves improving the patient’s quality of life as much as possible. This includes maintaining a stable, safe, supportive environment and providing constant supervision. While this may be done in the home, people in the advanced stages of dementia may require round-the-clock care in a long-term healthcare facility. It is important to provide the patient with structured activities and avoid disruptions to his or her daily routine. Many patients enjoy therapeutic activities, such as crafts or games, music or singing, and discussion. Some medications, such as donepezil, have been effective in improving the mental functions of those in the beginning stages of dementia. Patients with hallucinations and delusions may also be treated with antipsychotic drugs, while antidepressant medications are used to treat depression. There is currently no known way to prevent dementia associated with Alzheimer's disease. You can decrease your risk of dementia associated with stroke by maintaining a healthy lifestyle, following a heart-healthy diet, and controlling high blood pressure and high cholesterol. Healthy lifestyles, including not smoking and not abusing drugs and alcohol, go a long way in keeping most people in good health. Caring for a person with dementia is stressful. It is important to learn all you can about the disease, seek the help of support groups, and find a responsible caregiver who can give you a break when needed. There are daycare programs specifically designed for patients with dementia that are good for the patient and the family. Dementia is a collection of symptoms that can occur due to a variety of possible diseases. Dementia symptoms include impairments in thinking, communicating, and memory. Possible causes of dementia include: Alzheimer's disease, which is the leading cause of dementia.